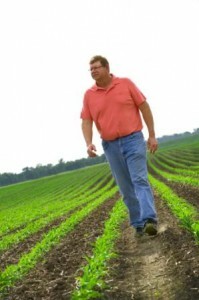 For years, procrastination and fear of surgery kept area farmer Mike Conrady, 48, from considering surgery for his hips. Together they decided to replace the left hip. Three years after that successful surgery, on a Disney trip with his wife, Pam, and daughters, Morgan and Claire, Mike decided to have the second replacement done.